The X-Series 15 inch is a versatile touchscreen all-in-one computer available in a wide variety of configurations. The X-Series features a powerful touchscreen, available in Accutouch resistive, Intellitouch acoustic wave, or PCAP touch technology. The X2 model is fanless with Celeron quad-core processor, and the fan cooled models, X3 and X5, are available with Intel Core i3 or i5 processors. The 15" monitor size of the X-Series is ideal for many types of POS software, including Cash Register Express, and easily fits in small spaces. 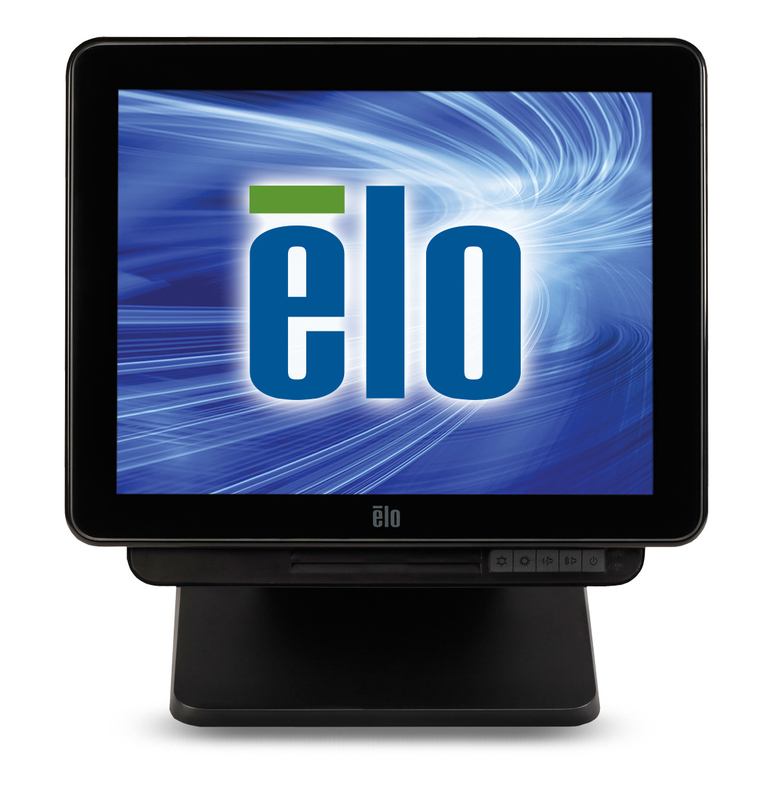 The Elo X-Series 15-inch all-in-one touchcomputer is a compact computer suited for a variety of point of sale applications, including hospitality, restaurants, and retail. See also the Elo X-Series 17-inch. • Dimensions (W x D x H): 14.38" x 13.73" x 2.65"